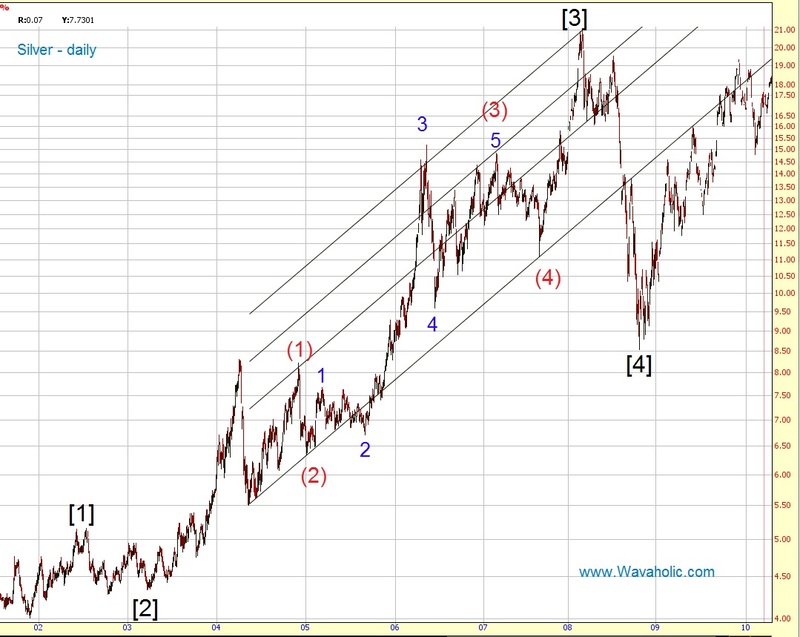 I think that Silver is in Primary wave  of an impulse that began in 2001. Primary  was relatively short but it seems to be characteristic of this impulse to have short first waves and extended third and fifth waves (e.g. wave , wave (1) of  and wave 1 of (3)). Additionally second waves were often sideways corrections and fourth waves zigzags. 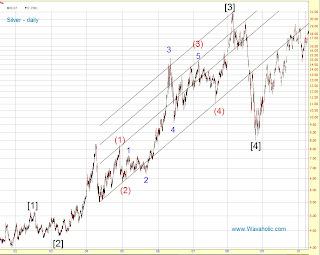 As said above fifth waves were often extended and with the current wave structure we have in Silver it looks like Primary  will also extend.